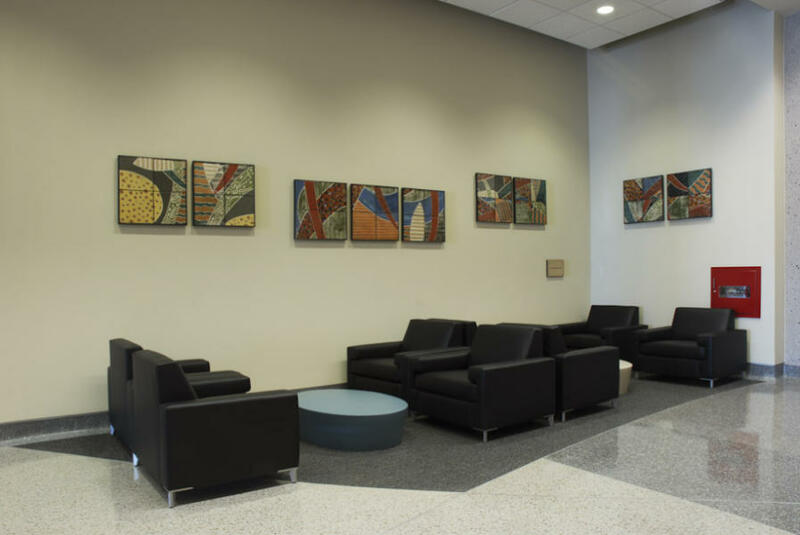 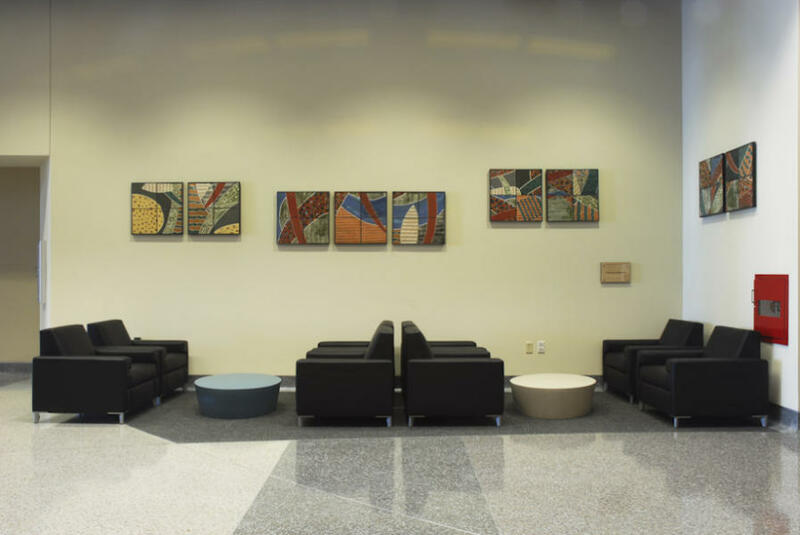 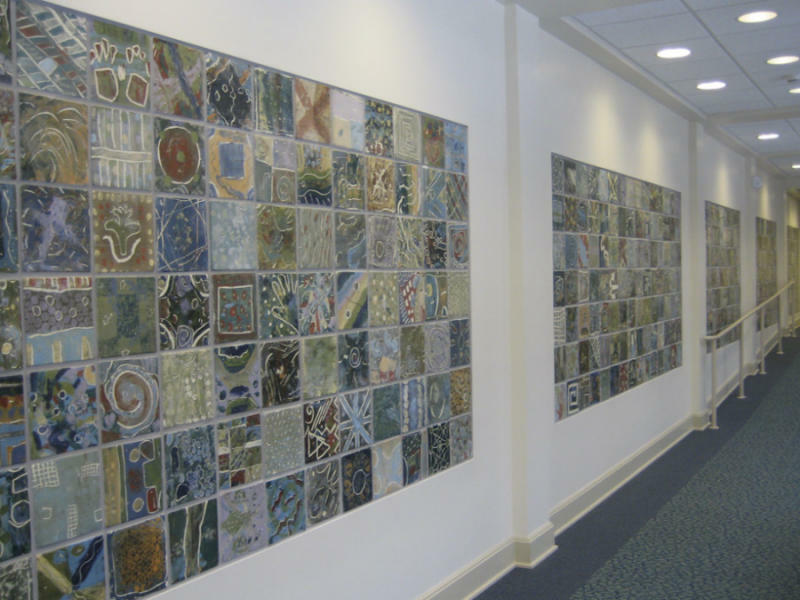 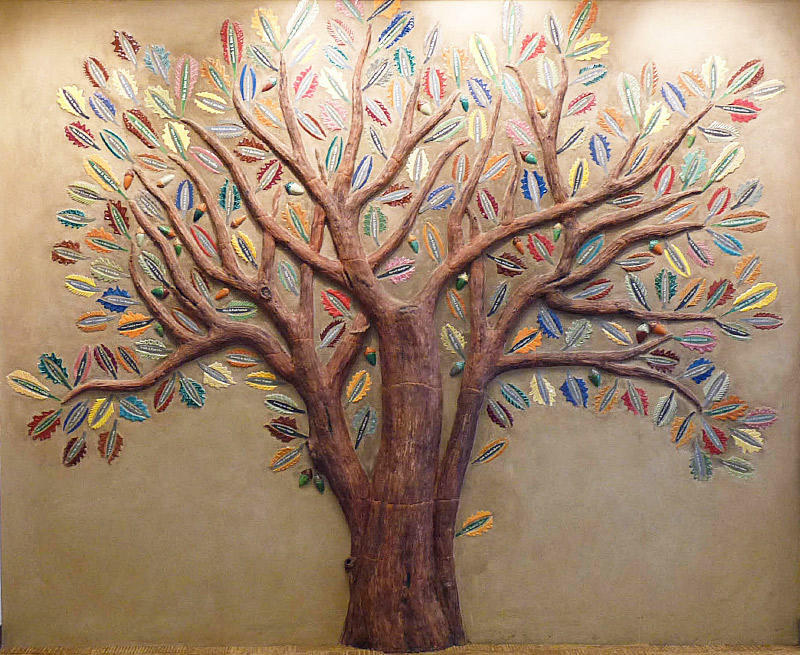 Claudia’s work has been installed in a number of places from private residences to corporate offices to public places. 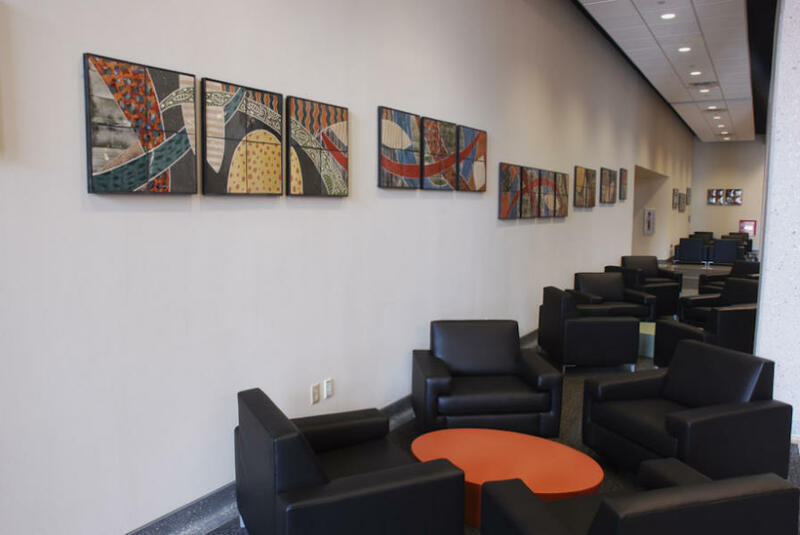 Her work can be found at the Seay building at the University of Texas, the lobby of the McCoy School of Business at Texas State, Westbank Library, Laura's Library in Westlake, IBM, and other locations around the country. 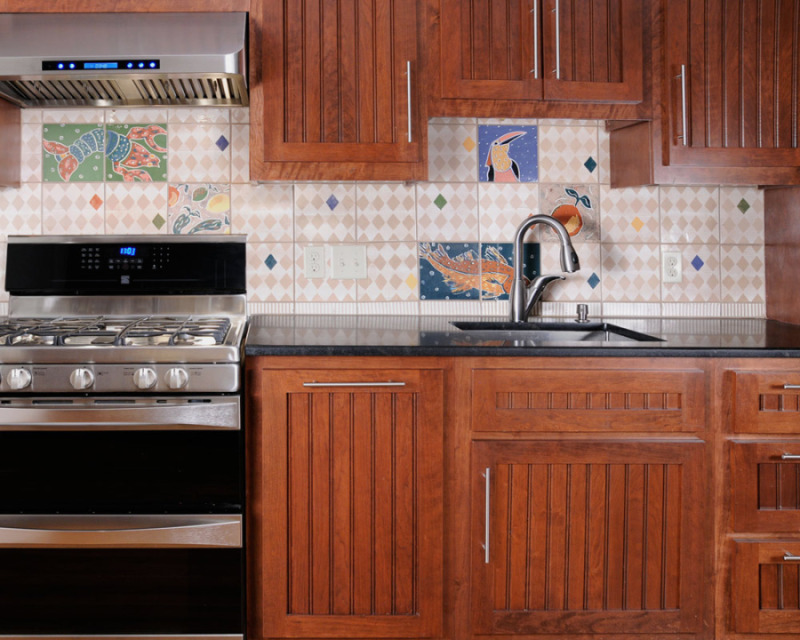 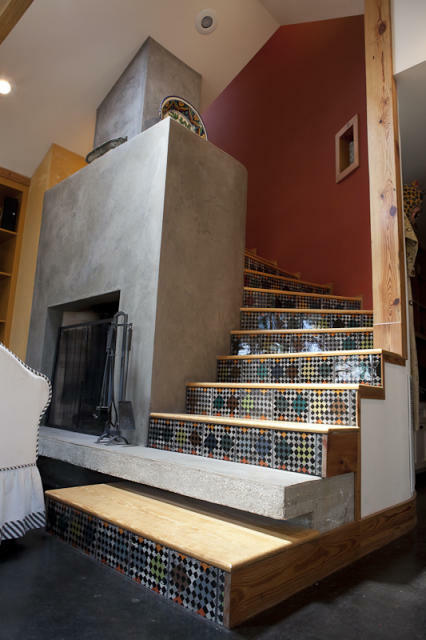 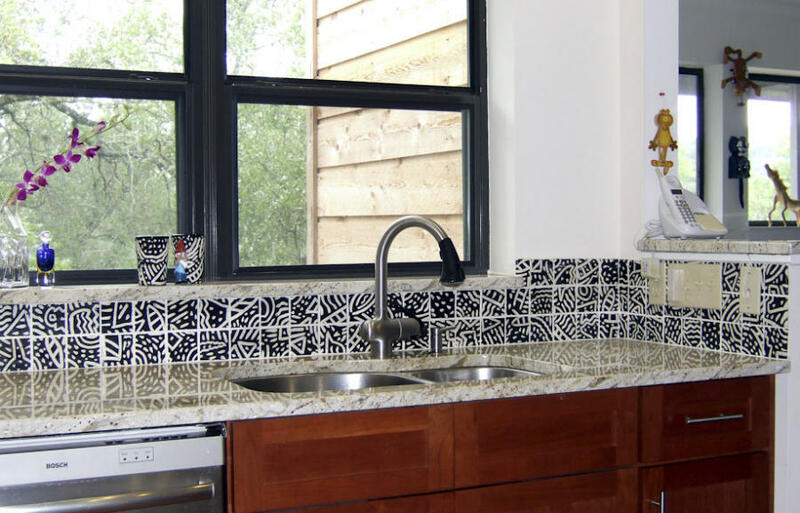 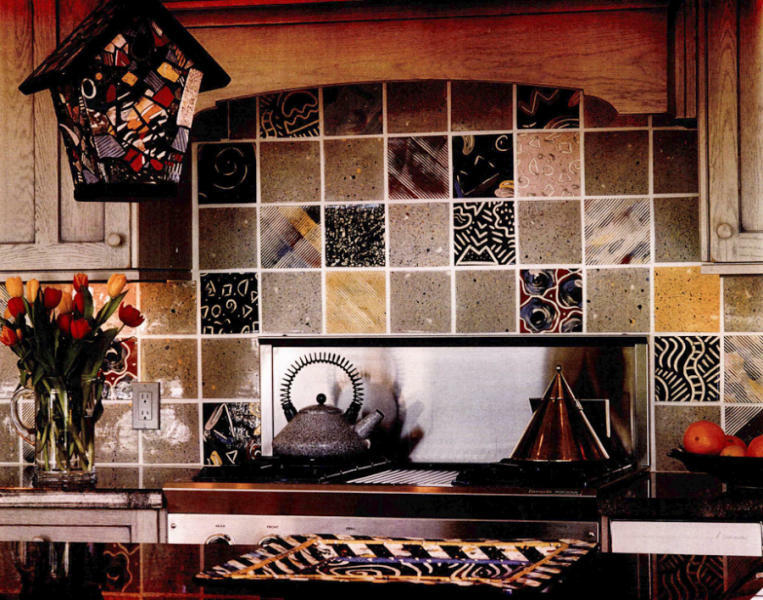 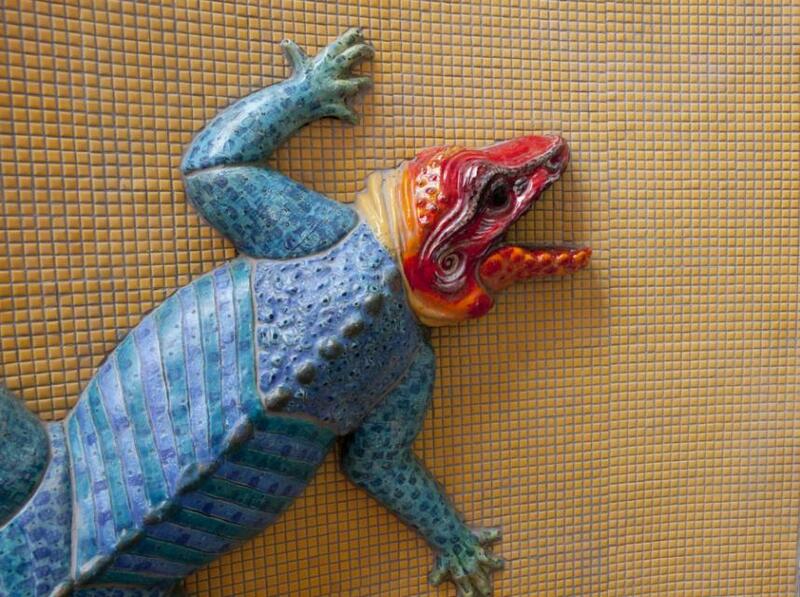 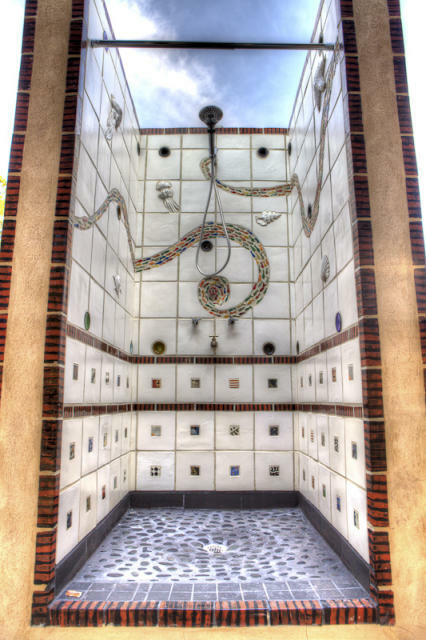 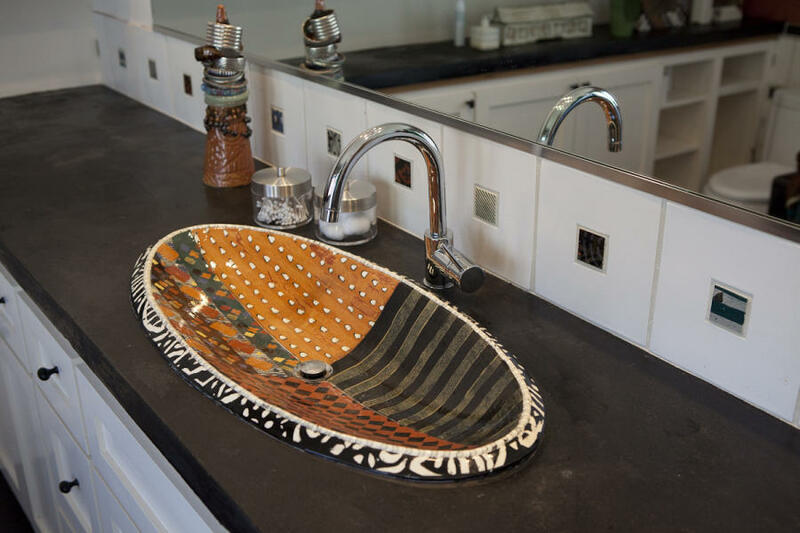 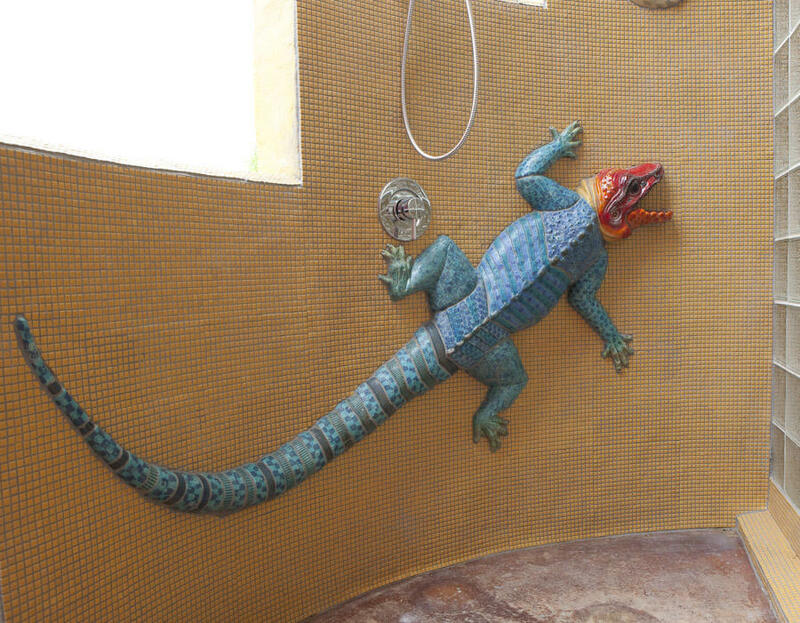 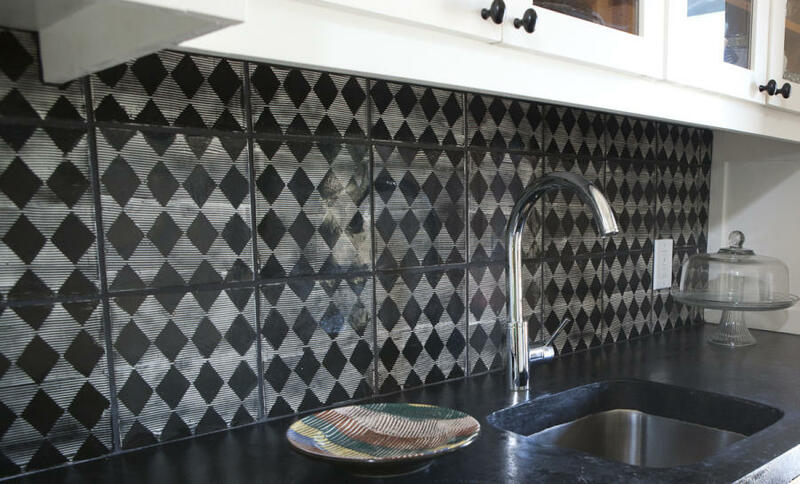 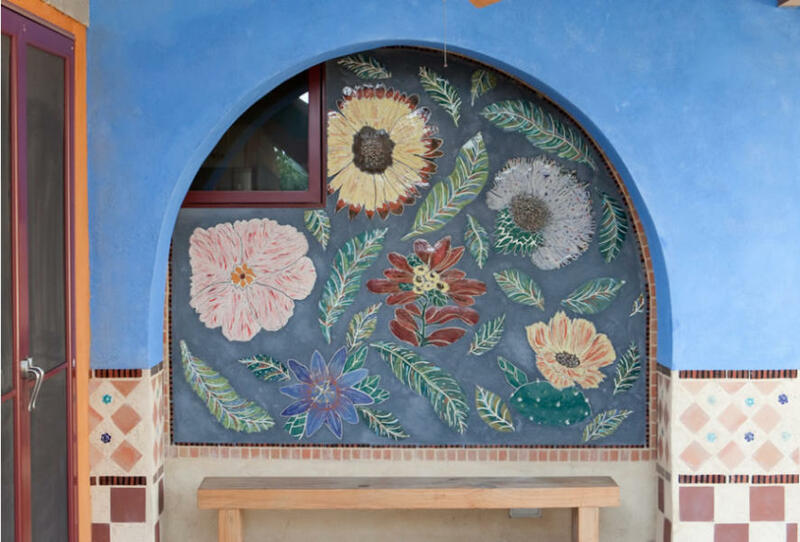 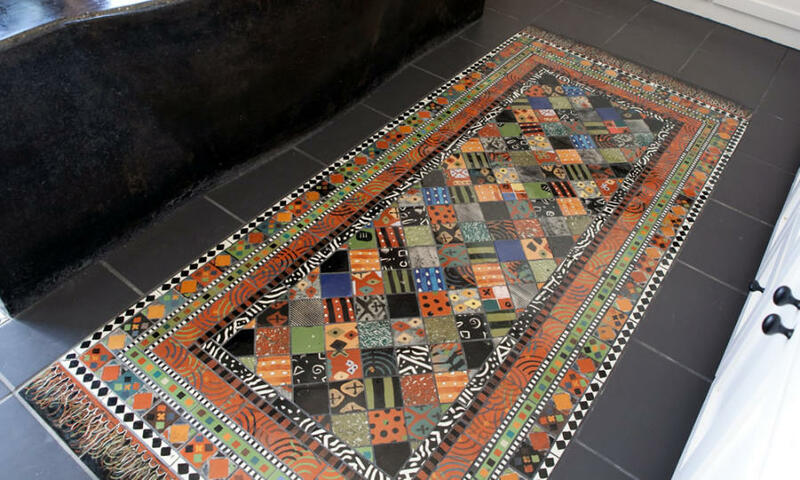 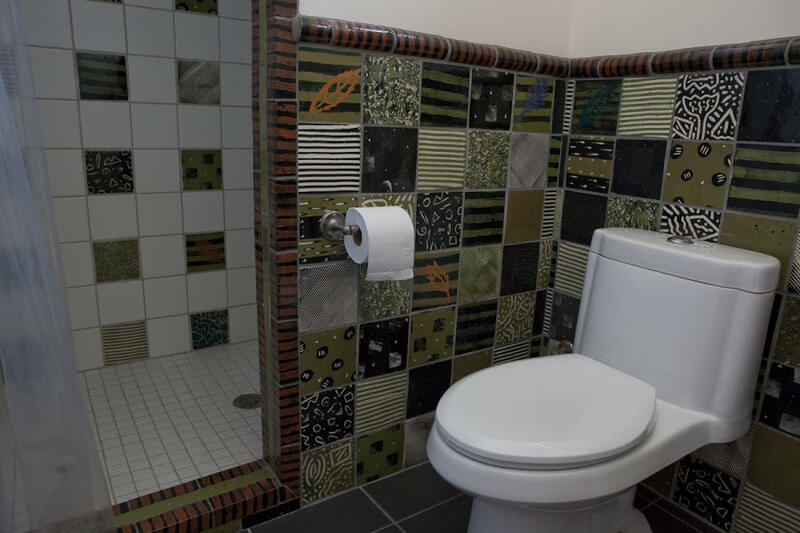 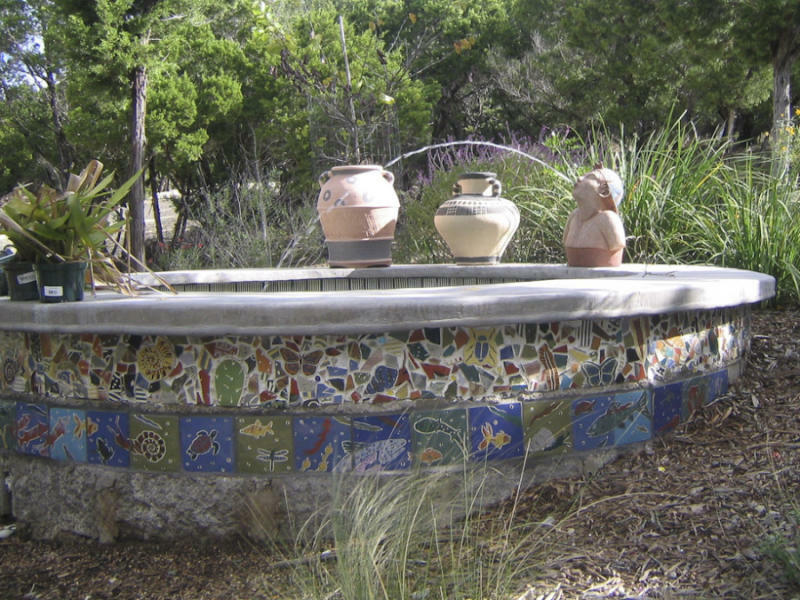 You will find fanciful tile installations, artful sinks, and her work hung as pieces of art. 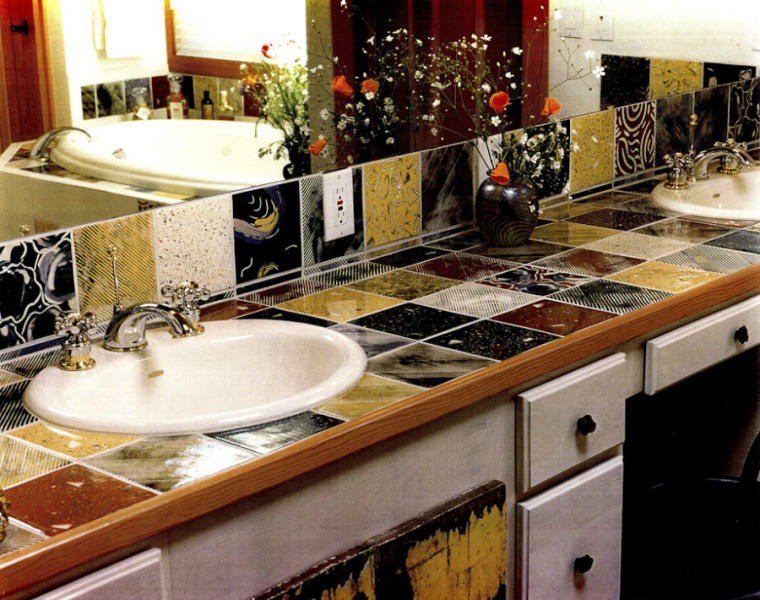 Explore the galleries of residential and commercial installations.